Exports of Russian software products and software development tools reached 5.2 billion dollars in 2013, according to a press release by Russoft, an association of Russian software companies. The press release adds, however, that growth has slowed from 20 per cent three years ago and 17 per cent in 2012 to 15 per cent in 2013. This is explained by the fact that there was a lot of pent-up demand for software from foreign companies in 2010-2011 after the global financial crisis. That demand has now been satisfied. In addition, many corporate customers now prefer to develop software in house. As a result, over the past three years the number of Russian companies working for U.S. and Canadian customers has fallen by almost two-thirds from 45 per cent of the total to 13 per cent. 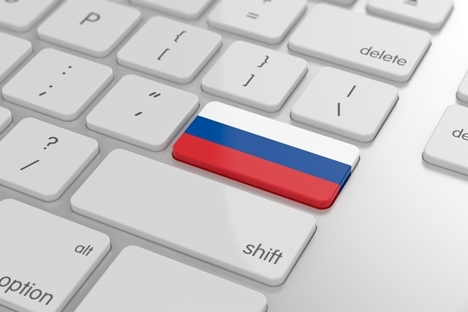 Demand for Russian software now comes primarily from Russia itself and the CIS states. The Russian government believes that small and medium enterprise should play the key role in the development of the Russian IT sector. This view is reiterated in the "Strategy of the development of the Russian IT sector in 2014-2020 and in the 2025 time frame” released by the Ministry of Communications. The strategy aims to make sure that Russia becomes technologically competitive on the global market. So far, according to the World Economic Forum 2012 data, the country is lagging behind in many areas. It ranks 88th out of 142 states in generating demand for information technologies; 110th in IT business climate; and 82nd in the quality of the education system. In addition, the Russian government wants to bring the proportion of government spending in the total national spending on IT to 20 per cent, which is the global average. On the whole, the strategy envisions two scenarios for further development of the Russian IT sector: the basic and the expedited. Under the basic scenario, development will continue along its current trends, without taking into account the specifics of the industry. The size of the Russian market for IT will grow from 270 billion to 410 billion roubles by 2020, but imports will continue to account for the bulk of the supply. Under the expedited scenario, which includes the aforementioned measures, the Russian IT market will expand to 620 billion roubles, with annual export earnings reaching 11 billion dollars.